Using videoconferencing and real-time sharing of documents for travel reduction, with consequent economic and time savings and with an eye also for the ecological aspect. Having an “always connected” work force, regardless of the individual’s geographical position, with consequent greater speed and efficiency in the information exchange and in the decision-making processes of the Company. Adopt a new way to work in a group, also interconnecting different functions within the company, which also takes its cue from the new methods of communication that come from the consumer and social world and to which everyone has become accustomed to our private life. Undoubtedly, the most delicate aspect for the success of a collaboration project is the knowledge of the world of networking and of the infrastructures on which collaboration projects are based. Poor performance and lack of tuning can heavily influence the success of the project and the adoption of technologies by users. The collaboration, in fact, must be immediate and easy to use and not bring complications to the work of those who use it. Another important aspect for the system integrator is that of consultancy support in the impact that the adoption of collaboration technologies have on the company processes and organizations. In this field, Lutech has been collaborating for years with Cisco, the world leader in these technologies, which continues to reinvent and improve the collaboration experience by focusing on ease of use, solution design and integration with applications and the social network. It is important to underline how Cisco offers collaboration solutions for companies and organizations, combining simplicity with security, scalability and adaptability to all types of business environment, all generations and all functions. AInstead of following the trivialization of the concept that only smartphones enabled by laptops and smartphones, offers an experience suitable to express the real economic potential and model, represented by digitization. 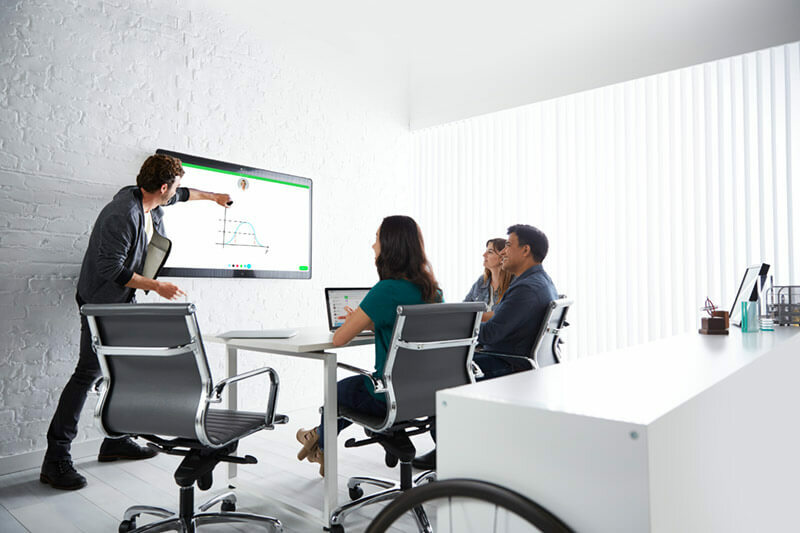 A clear example of this is the Cisco Spark team collaboration Cloud platform and the recently launched Cisco Spark Board, which allows co-design and remote whiteboarding work even with tablet users. Lutech has equipped its own auditorium and meeting rooms of the best Cisco technologies to make its customers touch the most advanced solutions in the world of collaboration and smartworking, book a visit to discover together the potential and fields of application.